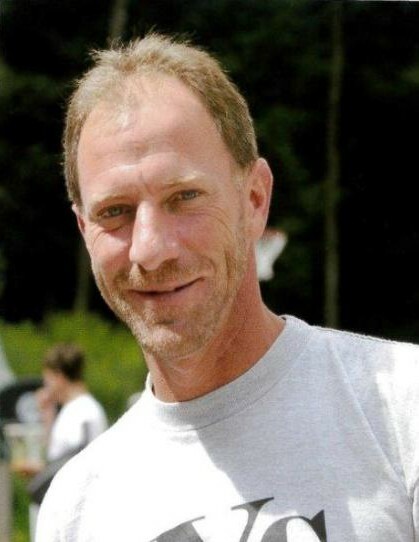 Arnold “Arnie” S. Wingrove, 58, of Williamsport, passed away Monday, April 8, 2019 at UPMC Williamsport Hospital surrounded by his loving family. Surviving is his wife of 30 years, Nadine M. (Robinson) Wingrove. Born January 19, 1961, in Williamsport, he was a son of Paul and Naomi (Weigel) Wingrove. He was a 1979 graduate of South Williamsport High School. Arnie had worked at the former TAB Sales for many years and then opened his own business I.D.S. Inc.. He also owned and operated Clean Blinds Plus. Arnie enjoyed hunting, fishing, ice fishing and especially loved yard sales and auctions. He often would frequent Fry's Auction Hall, but more than anything he loved his family. Surviving in addition to his wife and mother of South Williamsport are three children, Briana P. Kish (Chris), of Montoursville, Tanner A. Wingrove, of CA, and Maggie E. Wingrove, of Williamsport; a sister, Linda Sellinger (Gary), of Muncy; two brothers, Paul “Bill” Wingrove Jr. ( Diane Day), of Williamsport and Charles Wingrove (Aimee Styers), of Blanchard; a mother-in-law, MaryAnn Robinson, of Cogan Station; two-sister in-laws, Nanette Shoup (Jess), of Trout Run and Nicole Whitford (Bob), of Trout Run; a brother-in-law, Barry Robinson (Kim), of Williamsport and many nieces, nephews and friends. In addition to his father he was preceded in death by his father-in-law, Barry W. Robinson I. A visitation will be held from 5-7 p.m. Thursday April 11, at Sanders Mortuary, 821 Diamond Street, Williamsport, followed by a funeral service to honor Arnold’s life at 7 p.m. Burial will be private in Wildwood Cemetery. The family would like to extend their heartfelt appreciation to the doctors and nurses at UPMC Williamsport Hospital Intensive Care Unit.